Kate Chury, RD. Helping you make sense of food, nutrition and your health. You know when you find a new taste combination and you just can’t get enough of it? Well, this is me and the lemon-tahini flavour combo right now. There’s something about the tartness of the lemon and the smooth and nutty flavour of the tahini that keeps me coming back for more. What’s great about this Lemon Tahini Dressing is that not only is it fantastic on salads (like my Kale and Quinoa Super Salad), it can also be used on veggie-packed rice bowls or as a simple spread on a sandwich. What I also love about this dressing, besides the taste, is that it’s full of healthy fats (from the olive oil and sesame/tahini), as well as, a source of calcium. While it may not be a huge calcium hit as you probably won't have more than 1-2 tablespoons at a time, it does provide a little bit. Considering that there are a number of people who don’t get enough calcium, this is another great way to get a dose of the bone building mineral. The lovely thing about this Lemon Tahini Dressing, is that you can alter it to your preferences. The below recipe used the juice of 1 ½ lemons but if you want to amp up the tartness, add more fresh squeezed lemon juice. I also like to play with the thickness of the dressing at times. For a more spreadable product, decrease the amount of water. This thicker version of the dressing makes a great spread and turns your sandwich from good to great. Combine ingredients in food processor and blend until smooth. If you prefer a thinner dressing, add more water to mixture. Enjoy. Keep in a sealed container and store in refrigerator for 3-4 days. **Try this dressing with my Kale and Quinoa Super Salad! Sign up with your email address to receive new articles, recipes and updates direct to your inbox. ThinkyBites puts thought into your intake of both food and nutrition information. Vetted by Kate Chury, RD, ThinkyBites aims to explain how to think about food and nutrition in an easily digestible language. Kate Chury is a Registered Dietitian (RD), living in Calgary, Alberta with a passion for food and educating others about nutrition. 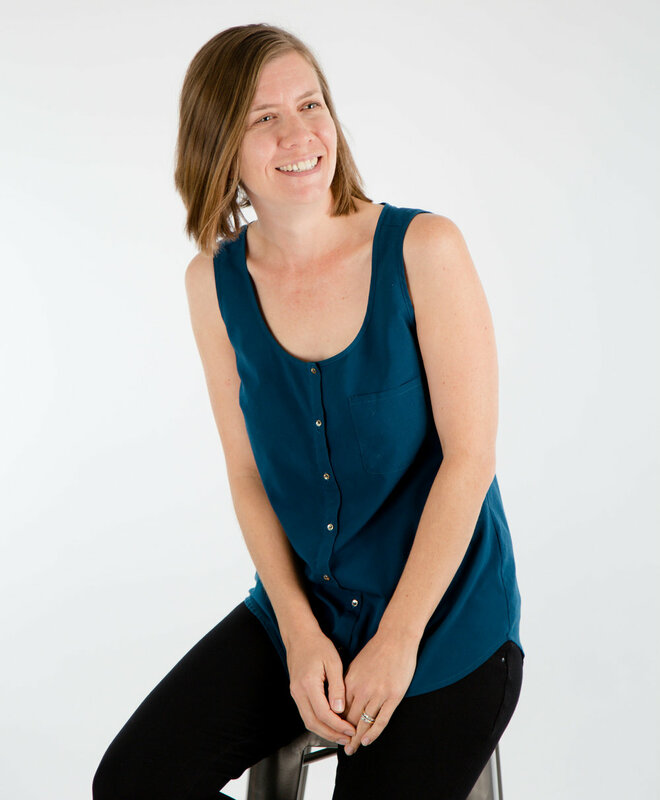 Kate will work with you to manage your individual health needs using a whole food approach. She believes in helping people develop a healthy relationship with food while inspiring them in the kitchen. Visit ThinkyBites's profile on Pinterest.